Ethical meat an opportunity in ready meals? 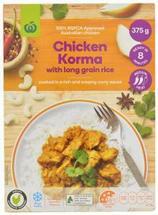 Woolworths Chicken Korma. A few brands have incorporated ethically raised meat into meals. In Australia, Woolworths joined the RSPCA’s certification scheme, which ensures the welfare of chickens on the farm, during transport, and at slaughter. 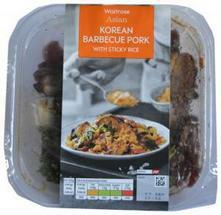 Waitrose Korean Barbecue Pork. In the UK, Waitrose has looked to reassure consumers about the welfare standards of its meals, launching a pork dish made from outdoor-bred pigs that are housed in straw-bedded, airy barns. Rising concern around animal welfare is creating opportunities for prepared meal brands to formulate with ethically raised meat. Animal welfare has emerged as a growing priority in the wider meat industry in recent years as more consumers consider the ethical implications of eating meat. While some consumers have left the category entirely, as highlighted by 2017 Global Food & Drink Trend, ‘Power to the Plants,’ some have stayed and switched to products with higher welfare standards. While consumers across age groups are increasingly concerned about animal welfare, younger generations are particularly passionate about the issue. Millennials and iGens show a willingness to apply more rigorous moral standards to their food choices than older generations, driving interest in ‘virtuous’ diets. 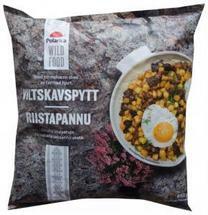 Prepared meal brands would be best served marketing higher welfare products to this demographic, particularly as they already show strong interest in ethical meals. Despite increased scrutiny around animal welfare, relatively few prepared meal brands have embraced ethically raised meat. In the 12 months to September 2018, just 3% of prepared meal launches globally had an ethical animal claim, up only slightly from 2013-14 according to Mintel Global New Products Database (GNPD). This is a missed opportunity for a category in which meat is an important component of recipes and interest in ethical options already exists. Brands hoping to appeal to consumers with more virtuous eating habits have instead introduced meat-free recipes, with vegan and vegetarian meals becoming more prevalent across markets. Despite concerns over animal welfare, many consumers find it hard to completely abstain from meat, highlighting untapped opportunities in the category for brands to incorporate meat with higher welfare standards. Slow-growth chicken breeds have emerged as an ethical alternative to battery chickens in the US. Slow-growth chickens take about 25% longer to reach slaughter weight, and can stand up and move around unlike their fast-growing cousins, who spend their final days floor-bound because they have put on weight so quickly. Pasture-raised meat has emerged as a trend in many markets, with consumers attracted to its natural and ethical credentials. Pasture-raised ensures that grazing animals are fed in ethical conditions, exploring natural environments as nature intended. Some producers even detail the time spent on pasture, such as six months or a year. Demand for ‘heritage meat’ has also grown, particularly in high-end restaurants, where its complex flavor is preferred. Heritage meat refers to animals reared slowly and ethically by farmers preserving the breeds native to their region. The concept is set apart from industrial agriculture, with a focus on organic, sustainable farms.